Compiling puzzles is not the black art that it may seem to be. You need to know some basic techniques, and you need some structure to the way you work. Those things can be learned, as long as you have the type of mind that reads “Car Park” but pictures fish sailing a boat, a carp-ark. If you come to one of my masterclasses, you can look forward to a stimulating day with a group of people representing a range of experience from relative newcomers to those who are nearly ready to have their work published. Class sizes are kept small, and you’ll receive individual attention and a critique of your work in progress, with suggestions of where to focus next. In addition to your place in the class itself, you’ll receive over 250 pages of course material, written notes on your work and membership of an exclusive online community for news, support and clueing challenges. The intensive one-day class for aspiring setters and advanced solvers costs £150, including lunch, drinks and snacks, and the advanced class for previous masterclass graduates costs £120. If you’re an advanced solver, you can enjoy seeing how a crossword is put together and getting an insight into how compilers think. You’ll find out about the tricks that compilers use when they’re trying to throw you off the scent, and you’ll increase your pleasure whenever you see a really well-constructed grid or a clever theme. Think of it this way: if you love music, you’ll get new insights from attending an instrumental masterclass, even if you don’t play yourself. My spring masterclass will take place in Brighton in May, to coincide with Brighton Festival. May is a wonderful time to visit Brighton – make a weekend of it, and enjoy everything that England’s largest arts festival has to offer! This will be a special session for past students only, where we’ll build on your experience to make the most of your creative potential. Join me for a day of exploration and ideas! 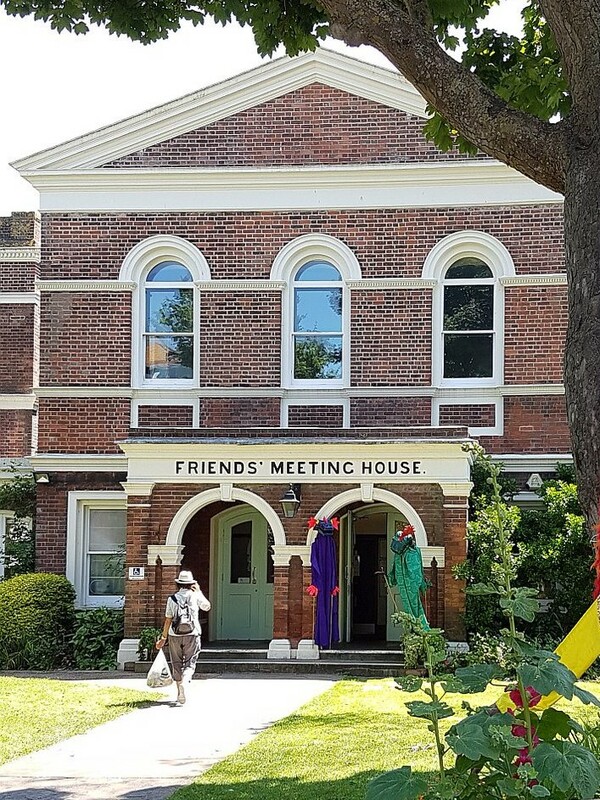 My favourite venue for classes: the Meeting House is in a quiet corner of the historic centre of Brighton, where we have our own room for the day and lunch is brought to us by one of the characterful local cafés. Over the last few years, I’ve run successful classes in Manchester, Birmingham and London, and I’ll set up more wherever there are aspiring setters who’d like to come to them. If that describes you, please drop me a line, then let your friends know and put them in touch with me too, so that I know where to look. Keep in touch with your fellow masterclass alumni by joining the exclusive online community, where you can ask questions, share news and enjoy tricky clueing challenges. Click here to go to there now. Click here to buy a place on the next class in my online shop – this will guarantee you a place, whether or not the date of the next class has been announced. If the date hasn’t been announced yet, I’ll do my best to give you a chance to influence the choice. For more information about the classes, or if you have any questions about whether they’d be suitable for you, to put your name on the waiting list or make a provisional reservation without a final commitment, just drop me a line using this form. Why do people do crosswords? This is a general indication of the material that we cover in each of the sessions. In practice, the content is driven by the interests and experience of the students on the day, and every class is unique.